53:31 – Fun and entertanium with Brian Jude, Chad of Chadcast, Carrie Michel, Bob LeMent, and Frank Nora, as cool websites are brought to the Central Table. PQ Ribber hosts and tells you all about the Overnightscape Central Season Two Premiere Special, next week and how to participate! Released August 2011 on The Overnightscape Underground (onsug.com), an Internet talk radio channel focusing on a freeform monologue style, with diverse and fascinating hosts presenting an array of talk-driven programs that are loaded with Timeless Entertanium! 38:39 – Join Bob LeMent (from Static Radio) rambling on his morning commute into St. Louis, Missouri… “News” – Driving Instruction, Media and the power of Local on this randomly changing Morning Commute. Released August 2011 on The Overnightscape Underground (onsug.com), an Internet talk radio channel focusing on a freeform monologue style, with diverse and fascinating hosts. 31:07 – Join Bob LeMent (from Static Radio) rambling on his morning commute into St. Louis, Missouri… “Drive-In” – Popcorn, Speakers and Tornados on this devastating Morning Commute. 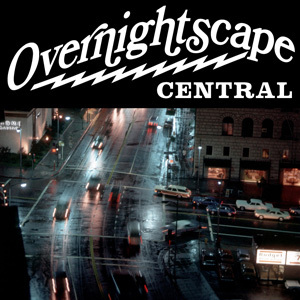 Released June 2011 on The Overnightscape Underground (onsug.com), an Internet talk radio channel focusing on a freeform monologue style, with diverse and fascinating hosts. 22:23 – Join Bob LeMent (from Static Radio) rambling on his morning commute into St. Louis, Missouri… “Travelling” – Subways, Trees and the Open Road on this vacationing Morning Commute. 2:37 – Listen in to these audio time captures of various environments. Once you think you know the environment, please comment and tell us all what you think. 11:23 – Join Bob LeMent (from Static Radio) rambling on his morning commute into St. Louis, Missouri… “Signs” -Yield, Error and Out of Order on this commanding MorningEvening Commute. 36:38 – Join Bob LeMent (from Static Radio) rambling on his morning commute into St. Louis, Missouri… “Tomorrow” -Summer, No AC and the Future on this what will happen Morning Commute. 23:05 – Join Bob LeMent (from Static Radio) rambling on his morning commute into St. Louis, Missouri… “Pockets” -Clothes, HBO to go and the windows rolled down, partially, on this summertime Morning Commute. Released May 2011 on The Overnightscape Underground (onsug.com), an Internet talk radio channel focusing on a freeform monologue style, with diverse and fascinating hosts. 57:07 – Black and White Imaginary Film Festival Suggestions and Ideas populate this pop-culture-rich transmission from the ONSUG All-Stars! Mike Boody, Brian Jude, Bob Lement, Frank Nora, and PQ Ribber monologate for your amusement! 38:30 – Join Bob LeMent (from Static Radio) rambling on his morning commute into St. Louis, Missouri… “Reality Games” – Tornadoes, Angry Birds and Charles Nelson Reilly on this Match Game Morning Commute.